A slice of heaven isn’t hard to find here on the beach if you know where to look. Nestled between the sky-high monoliths and abundant t-shirt shops, there are more than a dozen Panama City Beach Restaurants – each with their own ideas of how to slap, sauce and bake the perfect pie. 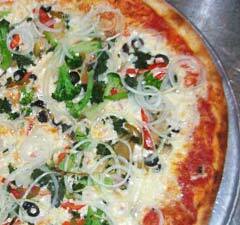 The new kid on the block, Bubba’s Pizza is located at the west end of Panama City Beach. It’s here they punch out fifteen different specialty pies, oven baked calzones and strombolis. They also love heat. Hot sauce, garlic, jalapenos and banana peppers cover many of the pies including their magnificent Taco Pizza which comes standard with Frank’s Red Hot Sauce, but can be omitted for those with a less fiery palate. Decor is quaint and homey which we liked, but not as much as the pizza. Little place, big pies. 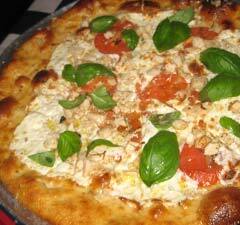 The large pizza at this self proclaimed “Local Italian Bistro” is a generous 18”–New York style. For those of you not from The City, that’s Manhattan thin. The menu includes every topping you’d expect including some you might not. Add meatballs to your pie if you want to mix things up. Panama Pizzeria also bakes all the classic Italian pasta dishes–spaghetti, ravioli, lasagna, ziti, gnocchi, tortellini, manicotti, and fettuccine. An extra special touch here is the kid’s menu, which includes half orders of spaghetti, ziti and ravioli. At the intersection of Front Beach Road and the “Y”. Mill around Pier Park long enough and eventually you’ll find yourself lured toward the savory scents that can only be those of RedBrick Pizza Cafe. At RedBrick it’s all about stones. Using an old world terra cotta technique, their brick oven sears each pizza at 1000 degrees in just three minutes. The result is a crispy center, golden crust, wood smoked flavorful pie. Perhaps a healthy one, too. The “eco-green” chain proudly offers gluten-free pizza while using no msg and “healthy olive oil”.. If you’re a lover of the big greasy slice, look elsewhere. But if you want to live a little, hit the Bricks. Don’t forget to save room for an Italian Gelato or triple chocolate fire-roasted gourmet brownie. On the Boardwalk in Pier Park. A gnarly good sandwich shop, Fatty’s name well describes their food. If you’re here for a hoagie try the Albuquerque Turkey or the Midnight Toker–a six meat carnivorous creation of roast beef, ham, turkey, salami, pepperoni, bacon, cheese, lettuce & tomato pesto. If you successfully tackle the toker, give yourself a high-five and take a seat in Fatty’s famous “hand chair”. 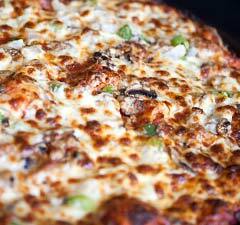 Those that come to Fatty’s for the pizza will find the choices thin–”Almost St. Louis Style Thin” claims the wonderfully modest menu–on which pizza is almost an afterthought. But Fatty’s sandwiches are so good they just had to make our list. Late risers take note: Fatty’s serves breakfast, too, beginning at 10:30am. There’s no missing Mellow Mushroom with its colorful outside murals and egyptian style pillars. Once inside, pause for a photo-op with the giant ten foot Transformer then take a seat in the outboard motorboat booth near smiling Mona Lisa. 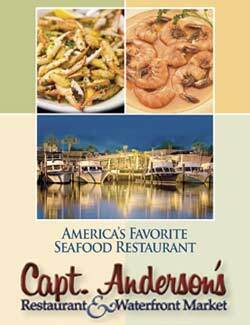 The notoriously iconoclastic staff here are just part of the chic vibe that makes “The Shroom” one of the favorite Panama City Beach restaurants – whether you’re bohemian or not. Nibble on a cinnamon sugar and honey pretzel while you peruse the menu. And be sure to enjoy a cold one, too. 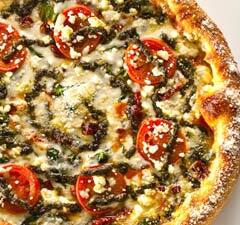 Mellow Mushroom offers over 35 awe-inspired brews on tap–some regional. Vegetarians will love the “White Rabbit”–an olive oil and garlic based pizza with sun-dried tomatoes, provolone, feta, mozzarella. And if you’re looking for one-of-a-kind gravitate toward the “Red Skin Potato Pie” or the “Holy Shittake”. 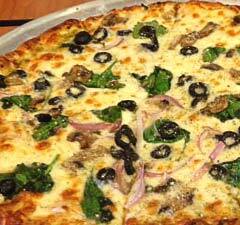 Some seriously yummy eats are produced at Marco’s Gulf Pizza. And they’re another one proud of their ovens–but this time it’s the Greeks. They’ve been baking on the same confection pizza stones since 1983. As for the menu…The “Gulf Deluxe” is a crowd favorite or try one named after a Seattle grunge band and step it up to the “Super Deluxe”. The latter comes standard with ham, pepperoni, Italian sausage, beef, black olives, mushrooms, onion, green pepper and mozzarella (jalapeno and anchovy optional). If you’re in town for the annual triathlon steer clear of the home-made lasagna, but if running a 10K is not on the next day’s agenda cash and carry a single serving with cheese garlic bread for ten bucks. At Marco’s, diners are welcome to eat-in, but with just a few tables local patrons primarily carry-out or (if lucky enough to be lodging close by) take advantage of the local area delivery.